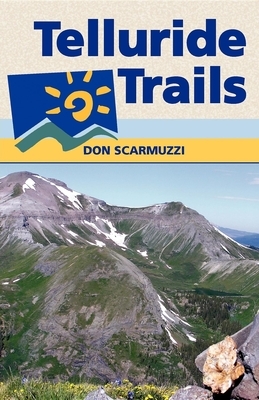 "San Juan" Don as many call him, has been hiking and biking intensively in the Telluride area for over 15 years. He graduated from the Culinary Insitute of American in New York, and deejayed at a local community radio station in Colorado. Don has lived in Aspen, and San Jose, California, with short stints in Utah, Texas, and Alaska. Originally from Ohio, Don has made Colorado his home. "San Juan" Don, as many call him, has been whole-hog about hiking and biking the Telluride area for over 15 years. He graduated from the Culinary Institute of America in New York, and deejayed at a local community radio station in Colorado. Don has lived in Aspen, and San Jose, California, with short stints in Utah, Texas, and Alaska. Originally from Ohio, Don lived in Colorado for years, and now makes his home in Portland, Oregon.